It’s Friday, so why not blow off some steam by challenging one of your coworkers to a friendly game of Connect Four? 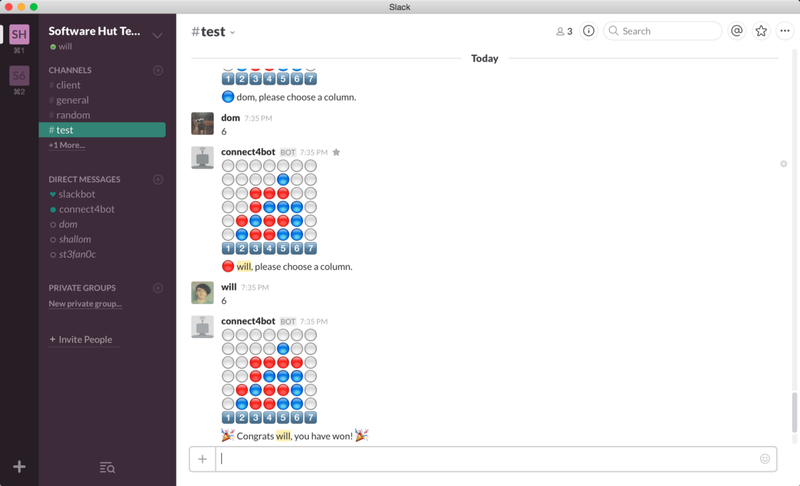 If you use Slack for your workplace communications, simply link the Connect 4 bot and start playing the classic children’s board game with another player in a public or private chat. Now, fight your coworker in a battle to the death! Connect 4 bot will handle the board map and communicate moves via numerical inputs.